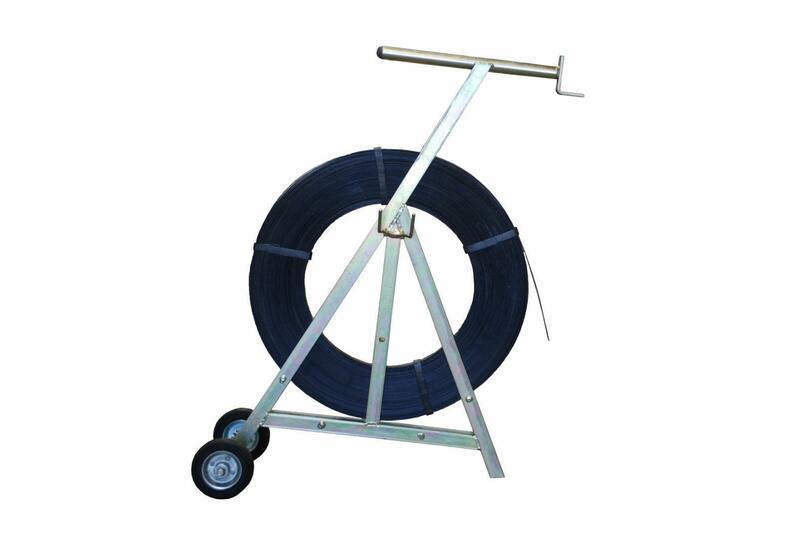 SPI Equip’s black waxed 19mm strapping is 0.6mm thick and made from high tensile steel, so it will not break. Our strapping is available in 16kg rolls. We can also supply 0.5, 0.7, 0.8 and 0.9mm strap in 16kg and 45kg rolls. 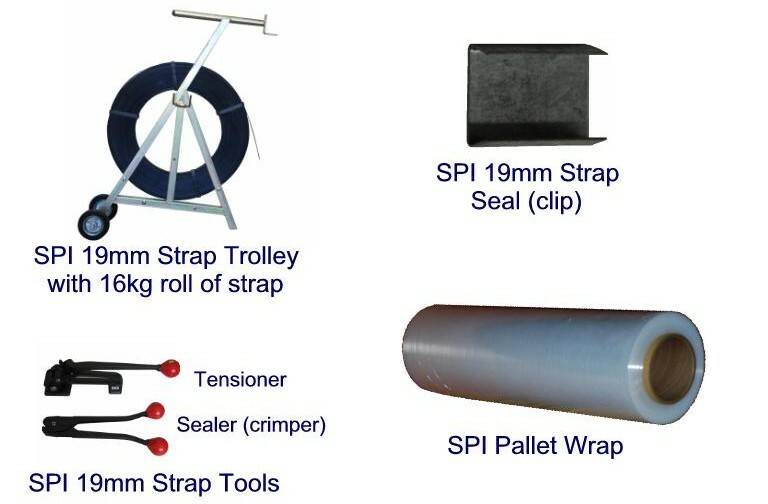 SPI strap trolleys are designed for 19mm wide strapping on 16 kg rolls. 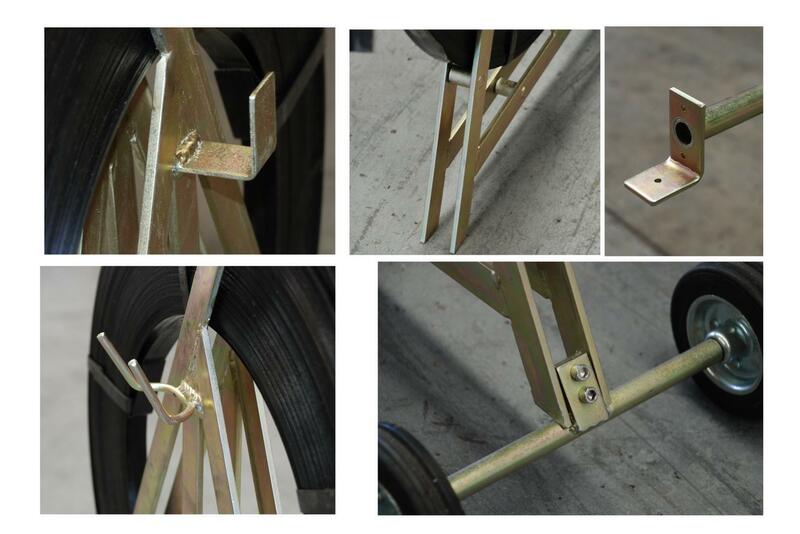 Our strap trolleys are heavy duty and include sturdy wheels. They are electroplated to keep them looking good and also have two brackets to hold strap tools. SPI strap seal clips are made of quality steel so when they are crimped they hold their shape and won’t allow the strap to slip. SPI strapping tools are quality disposable items. SPI stocks both the tensioner and seal crimper for the 19mm formwork strap. SPI pallet wrap is a strong, durable wrap that minimises tears on sharp corners. The rolls are 500mm wide, 450m long with a 25um thickness.